In spring of 2018, our Malad City crew was fortunate to add Jaclyn Nielsen, our “Extra-Mile Specialist”, to the team. With a strong background in accounting and productivity, Jaclyn brings a heightened level of collaboration and flexibility to our Malad Office. Her practical approach to problem solving, combined with her patient and thoughtful personality, ensure every customer gets the VIP treatment ATC is famous for. In her free time, Jaclyn enjoys working the farm with her husband and spending time with her sweet kids. She loves fresh grilled Halibut steak on the Oregon Coast, ice-cold water, and getting to know all the friendly faces in Malad. 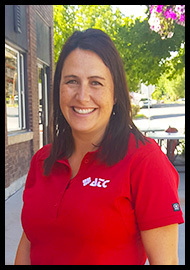 We’re proud to have this keen, energetic Customer Service Rep on our ATC team!